Elections are approaching in Taiwan for a new president and parliament. The question remains of how this will affect Taiwan’s relations with China and the US. On Jan. 14, Taiwanese voters will elect the country’s next president and parliament. Officials in both Beijing and Washington are closely watching the election campaign, for the outcome could affect both Taiwan-China and U.S.-China relations. President Ma Ying-jeou, the incumbent from a mainland emigre family and Beijing’s preferred candidate, came to power in a landslide victory in 2008 on a platform of rapprochement with China and reviving Taiwan’s struggling economy. However, most Taiwanese opinion polls show him running behind Tsai Ing-wen, a native of Taiwan and candidate of the island’s major opposition Democratic Progressive Party (DPP), which leans toward a more independent Taiwan and rejects unification with China. Tension in the Taiwan Strait has subsided - despite Beijing’s continued buildup of 1,600 missiles targeted at Taiwan, just across the narrow strait - and relations have improved greatly under Mr. Ma since 2008. On the other hand, critics fault Mr. Ma's government for pre-emptive concessions to the communist government and charge that his strategy has undermined Taiwan’s sovereignty and compromised its de facto independence. While Mr. Ma’s policy of economic engagement with China to liberalize and foster cross-strait investment has increased trade, it has brought a flight of capital and accelerated the movement of Taiwan’s manufacturing to China. Consequently, more than 1 million blue-collar and white-collar workers in Taiwan have lost their jobs. While Taiwan’s close economic links with China have benefited Taiwan’s big businesses and foreign multinationals, unemployment remains high, and incomes are shrinking. On the eve of the elections, the educated young have been hit especially hard. Given Mr. Ma’s present high disapproval rating, running close to 70 percent, if polling were held now, he probably would lose his re-election bid, and Taiwanese voters likely would elect the first female president inTaiwan’s history. The return to power of the pro-independence DPP is a nightmare for Beijing’s Communist Party leadership. President Hu Jintao, who is scheduled to step down as the Communist Party general secretary and chief of state next October and March 2013, respectively, has been eager to make a breakthrough on Taiwan his legacy. He is therefore apprehensive that opponents inside the party would blame a victory byMs. Tsai on the failure of his cross-strait strategy, subjecting him and his followers to politicalattack. That’s why Beijing has been doing its utmost to influence Taiwan’s political tide. In contrast to its blatant intervention in Taiwan’s presidential elections in 1996 and 2000, which backfired badly, Beijing’s tactics this time appear more subtle, resorting to economic means and media resources in Taiwanto help Mr. Ma’s re-election. Despite Beijing’s repeated assurances that it would not interfere in Taiwan’s elections, Chinese officials have actively solicited support for Mr. Ma among a million China-based Taiwanese businessmen and factory managers. Beijing is facilitating the return to Taiwan of Mr. Ma’s supporters to cast their ballots by arranging scores of charter flights at half price. On several occasions, Chinese officials and academics close to the government have gone so far as to issue not-so-subtle warnings that if Ms. Tsai were to win, the growing cross-strait trade and rapprochement would be disrupted and “calamities” might follow. Does the United States care about China’s attempts to interfere in Taiwan’s democratic process and forcefully change its status quo? Last month, Secretary of State Hillary Rodham Clinton said emphatically that Taiwan is an important security and economic partner. Two ranking U.S. officials have since visited Taiwan to highlight the importance of U.S.-Taiwan ties. The Obama administration has slowly gone ahead with promises to sell Taiwan weapons to modernize its armed forces, despite bitter opposition from Beijing. But when Ms. Tsai visited the United States in September to reassure Americans of her credentials, an anonymous spokesman in the Obama administration’s National Security Council rudely criticized the DPP candidate in an interview with the Financial Times. 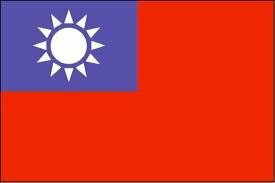 In contrast, many American observers have argued it would be in the U.S. national interest for Washington to help ensure a free choice in Taiwan, safeguarding a vital democratic and strategic outpost for the free world in Asia, which protects the flanks of Japan and the Southeast Asian democracies at a time of increasing Chinese belligerence. Parris H. Chang is CEO of the Taiwan Institute of Political, Economic and Strategic Studies.